ICRA Limited (formerly Investment Information and Credit Rating Agency of India Limited) was set up in 1991 by leading financial/investment institutions, commercial banks and financial services companies as an independent and professional investment Information and Credit Rating Agency. Today, ICRA and its subsidiaries together form the ICRA Group of Companies (Group ICRA). ICRA is a Public Limited Company, with its shares listed on the Bombay Stock Exchange and the National Stock Exchange. 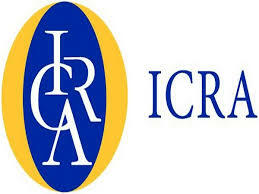 The international Credit Rating Agency Moody’s Investors Service is ICRA’s largest shareholder. The participation of Moody’s is supported by a Technical Services Agreement, which entails Moody’s providing certain high-value technical services to ICRA. Specifically, the agreement is aimed at benefiting ICRA’s in-house research capabilities, and providing it with access to Moody’s global research base. The agreement also envisages Moody’s conducting regular training and business seminars for ICRA analysts on various subjects to help them better understand and manage concepts and issues relating to the development of the capital markets in India. Besides this formal training programme, the agreement provides for Moody’s advising ICRA on Rating-products strategy, and the Ratings business in general. (e) Provide intermediaries with a tool to improve efficiency in the funds raising process. (i) The board of directors of lCRA Limited at its meeting held on 09 August 2018, approved the buyback of the Company's fully paid-up equity shares having a face value of INR 10 each from the members of the Company (except promoters, promoter group or the persons in control of the Company) from the open market through the stock exchanges for a total amount not exceeding INR 8,540 lakh excluding brokerage, costs, fees, turnover charges, taxes such as securities transaction tax and goods and services tax (if any), stamp duty and other transaction charges (the "Maximum Buyback Size"), and at a price not exceeding INR 3,800 (Indian Rupees Three Thousand Eight Hundred Only only) per Equity Share (the "Maximum Buyback Price"). (ii) The Maximum Buyback Size represents 14.98% of the aggregate of the total paid-up equity share capital and free reserves of the Company based on the audited financial statements of the Company as at March 3 t. 2018, which is less than 15% of the total paid-up equity share capital and free reserves of the Company, in accordance with the proviso to the Regulation 4(1) of the Securities and Exchange Board of India (Buy Back of Securities) Regulations, 1998, as amended from time to time ("Buyback Regulations"). (iii) The indicative maximum number of Equity Shares proposed to be bought back at the Maximum Buyback Size and Maximum Buyback Price under the Buyback would be 2,24,736 (Two Lakh Twenty Four Thousand Seven Hundred Thirty Six) Equity Shares ("Maximum Buyback Shares") (comprising around 2.27% which is less than 25% of the existing paid up equity share capital of the Company). The Maximum Buyback Shares would be subject to the Regulation 38 of the Listing Regulations and Regulation 14(3) of the Buyback Regulations. ICRA Limited BuyBack is an Open Market BuyBack In this method of share buyback, the company buys its own stocks from the market. This transaction happens through company’s brokers. This repurchase program happens for an extended period of time as a large block of shares needs to be bought. The company is under no obligation to conduct the repurchase program after the announcement. The company has the option to cancel it. Also, it can make changes in the repurchase program according to company’s situations and needs. If this method is effectively implemented, it can prove to be very cost effective. Review and Recommendation of ICRA Limited BuyBack 2018 from InvestorZone Team is: Rating: Avoid ICRA Limited BuyBack shares on the open market over an extended period of time. The Company closed the Buyback with effect from December 12, 2018. Intimation for the closure of the Buyback was issued to the Stock Exchanges on December 12, 2018. The total number of shares bought back under the Buyback was 2,52,049 Equity Share.